If you want to be the Bat on anything besides PlayStation VR, you'll need to wait a few months longer. A Facebook advertisement for Batman: Arkham VR (via NeoGAF) confirms that the first-person detective experience will be exclusive to Sony's virtual reality system until March 31, 2017 at least. After that, it could start rolling out for other VR platforms like Oculus Rift and HTC Vive as early as April 2017. But what are you actually waiting to play? 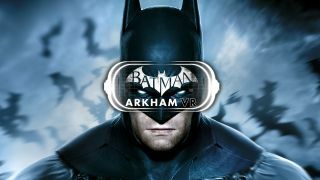 Rocksteady told Press-Start it has a roughly hour-long main experience; GR+'s Dave Roberts quite liked the parts of Batman: Arkham VR he got to try. Sony's also secured a full year of virtual-reality exclusivity for Resident Evil 7. The game will still appear on other platforms, but the VR mode will only be available on PlayStation VR for that time.